This rectangular basket is made of balsam wood. It measures 14.5" long, 8.25" wide, 4" tall. The dimensions are outside measurements. It holds either two red wine bottles, a red wine bottle and a white wine bottle, or two white wine bottles. It is availble only in natural varnished. This item is also available in three more sizes. 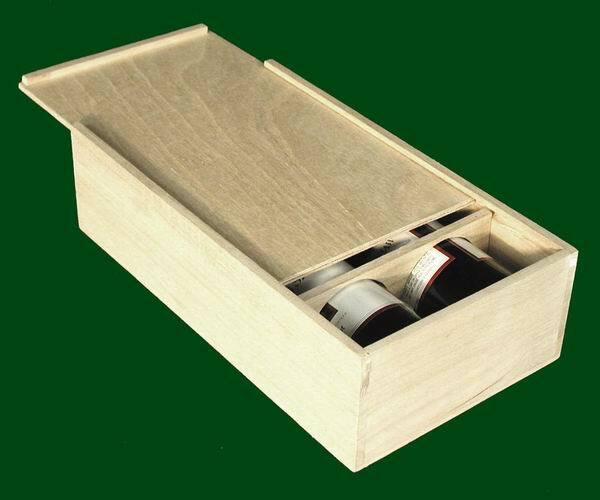 Please click on Item Number F3653 to view the one bottle wine box, Item Number F3655 to view the three bottle wine box, or Item Number F3656 to view the four bottle wine box.